Enterprise Commercial Satellite Broadband Enterprise service delivers instantaneous mobile communications for broadcasters, news gathering organizations, entertainment providers, remote offices, emergency responders, law enforcement, and government agencies. Enterprise Commercial broadband is available throughout the United States (including Alaska & Hawaii) and portions of Canada. Enterprise High-Throughput is the fastest satellite broadband service available on the market today. The domestic US and Canadian service is provided by an ultra-high throughput satellite with 140 Gbps of capacity. The Enterprise satellite offers more throughput than all other U.S. Ku and Ka satellites combined. Regardless of where you’re located in the US or Southern Canada, speeds up to 50 Mbps download, and 20 Mbps upload can be achieved. Typical users opt for the standard 15/5 Enterprise service package that delivers 15 Mbps download, and 5 Mbps upload data rates. Depending on your requirement, custom broadband service plans can be tailored to your unique requirements. Whether you’re operating an oil exploration site and need a high speed broadband connection in a remote location, or you’re a news agency providing live HD video reports from the field, the Enterprise VSAT system is the most cost effective solution for true high speed broadband service. 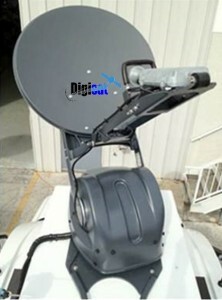 One of the Enterprise technological breakthroughs is the ability to deliver live true HD Video from the field via a compact .75M (30″) satcom antenna terminal. News Gathering organizations can decrease monthly Ku or C-Band bandwidth expenditures by switching to the Enterprise SNG platform. By alleviating costly monthly bandwidth charges, Local, regional and international broadcasters can expect a dramatic decrease in OPEX and CAPX. Commercial Enterprise service is perfect for users that require a high speed satellite internet connection in remote locations. By having access to cable internet speeds over satellite, remote offices and field operations will increase productivity, while disaster responders can optimize response times by alleviating multiple pieces of cumbersome communications equipment. Designed for buildings, remote offices, and fixed structures, these cost effective Enterprise internet antenna systems are ideal for users that will be staying in one location for at least several months at a time. This antenna can be easily installed on a building roof, ground non-penetrating roof mount, or a pole mount fastened directly to a structure. Turnkey installation is provided by Digisat’s experienced senior satcom technicians. 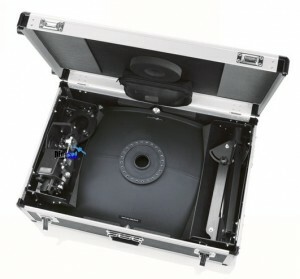 Easily transportable through regular airline checkable baggage or in a small vehicle, these highly portable vsat flyaway systems are ideal for users that require high mobility for applications such as tactical communications, newsgathering, disaster communications, & special entertainment events. 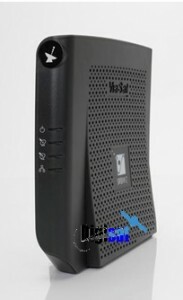 The entire internet antenna system is housed in one case which includes the TRIA and the Surfbeam Pro 2 modem. Designed for trucks, vans, SUV’s and even compact cars, these Enterprise auto-pointing vehicular VSAT antenna systems are great for users that require a mobile internet or video streaming solution for a van, SUV, truck or even a small car. Trailer mounted systems can be custom manufactured to your specifications. 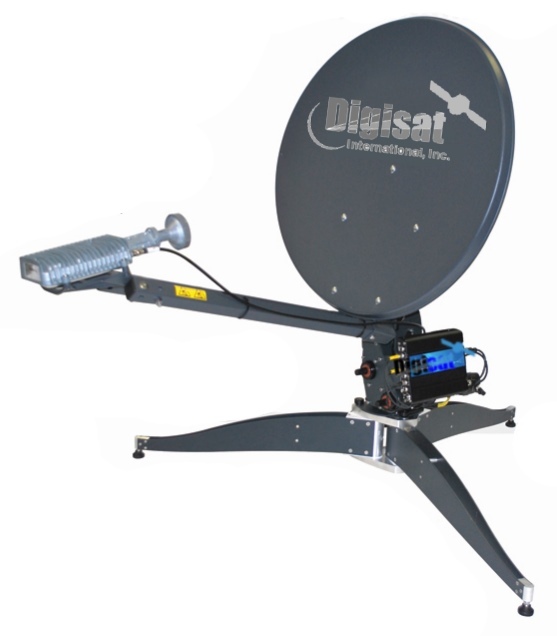 Digisat can also provide turn-key install, setup and commissioning services at your location or at our facility located in Central Florida. 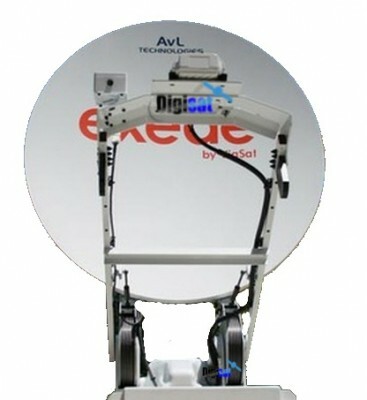 The iNetVu FLY-75V Flyaway Terminal is a 75 cm Ka-Band antenna system that’s extremely lightweight, easily transportable, and fully auto-pointing for fast acquisition of Exede Enterprise services on the ViaSat-1 satellite. 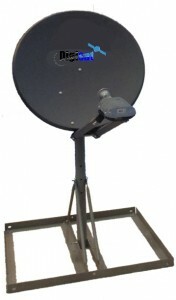 This flyaway antenna system can be easily setup and made operational in less than 10 minutes by a person with little or no satellite knowledge. 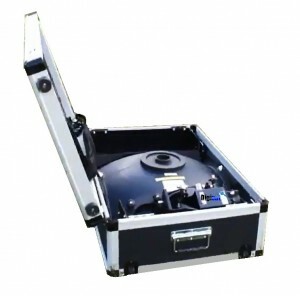 Digisat provides this portable Exede terminal in a turnkey configuration, ready to deploy to your location for immediate use. These AVL vehicle terminals offer extraordinary durability and come fully integrated and include a built-in TRIA, RF electronics, antenna controller and a SurfBeam PRO Satellite Internet modem. Depending on your specific application, Digisat can provide a High Throughput Enterprise Monthly Service plan that’s tailored to your needs. Prices start at $195 per month for ultra fast 15 Mbps download speeds. From equipment procurement and installation, to service plan setup and commissioning, Digisat is your complete source for the entire Enterprise Satcom solution. For our Government customers, any Enterprise VSAT system or monthly service plan can be purchased through an eligible Contract Vehicle or via Government Purchase Card. Please contact a member of our sales team today for a detailed price quote, to setup a demonstration at your location, or to obtain more information. Thank you for your message, Digisat will be in touch very shortly. Please enter your contact details and a short message below and Digisat will answer your query as soon as possible.